This week, Travel Today with Peter Greenberg broadcasts from the new Source Hotel + Marketplace in the newly developed RiNo (River North) area of Denver, Colorado. Joining the show is Colorado Governor Jared Polis, who speaks about everything from the Denver International Airport to tourism’s real impact on the economy and everything else ranging from job creation to microbreweries. Speaking of job creation, Ed Sealover of the Denver Business Journal, shares an update now that Colorado has ... See More legalized marijuana. Patricia Calhoun, Editor and Co-Founder of Westword, on the RiNo art district. And Musician/Singer/Songwriter Sarah Slaton stops by for a special performance. 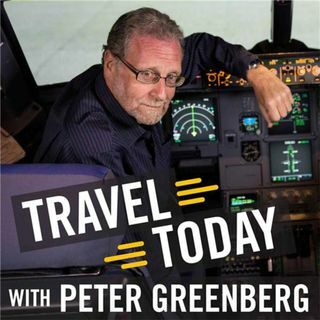 There’s all this and more as Travel Today with Peter Greenberg comes from The Source Hotel + Marketplace in Denver, Colorado.